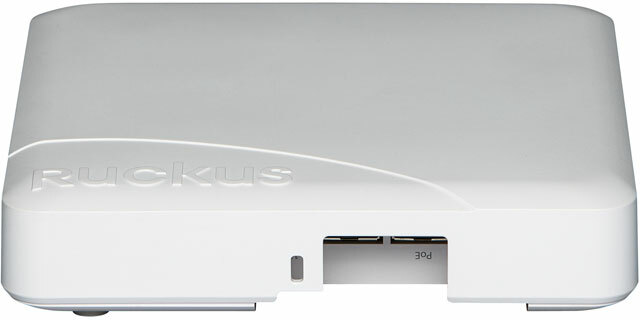 The Ruckus ZoneFlex R600 delivers high-performance and reliable 802.11ac wireless networking at a competitive price point for medium density venues such as in K-12 or education. The ZoneFlex R600 combines patented adaptive antenna technology and automatic interference mitigation to deliver consistent, predictable performance at extended ranges with up to an additional 6dB of BeamFlex gain on top of the physical antenna gain and up to 15dB of interference mitigation. ZoneFlex R600, 802.11ac High Performance Mid-Range, MIMO 3X3: 3 MIMO, Smart Wi-Fi Access Points with Adaptive Antenna.